Kids love to explore. And a quick look at any summer camp guide will support that claim. 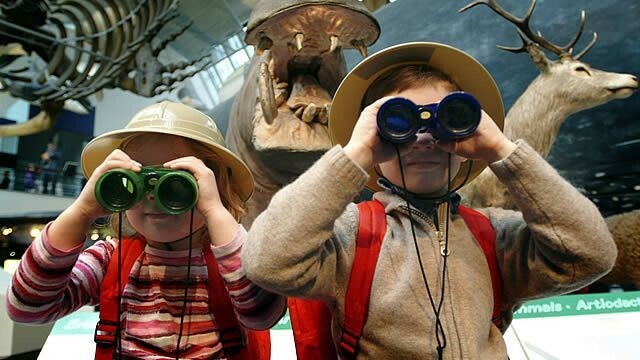 Last summer, kids in our area could attend Camp Explorer, Camp Eco-Explorer, Camp Adventure, Camp Discovery, Camp Run Wild, Camp Invention, or Nature Adventures, to name just a few! It’s true that some of this push for discovery is about marketing – both to caregivers and their kids – but the reason such marketing is effective is because learning new things is what childhood is all about. Spiritual exploration is similar. For years, we have taught the kids in our program about the world’s various faith traditions. They learn about sacred texts, holy days, and common practices. They make crafts related to age-appropriate narratives. They handle ritual objects. And they meet people who adhere to belief systems different from their own. Time and again, we find that kids are often more comfortable and more eager explorers than adults. The adage “you can’t teach an old dog new tricks” is surely an overstatement, but it is true that adults can be a little set in their ways. They can also be more self-conscious and more skeptical than kids. This is partly because many adults have little or no experience with people of different faiths. My copyright attorney is a case in point. Kids are great spiritual explorers. They are not just open-hearted and open-minded; they are also sponges when it comes to learning. They are naturally creative, curious, and adventurous – willing to absorb all sorts of things that come their way. Moreover, many of them are already wondering about the nature of the Holy. In my household, every day is “take-your-kid-to-work” day, which means my children are regularly dragged to various events at mosques, synagogues, churches, and temples. One year, my then 15-year-old daughter accompanied me on a little field trip to the Masjid of Al-Islam in Atlanta, Georgia. I have friends who pray there, and they invited us to attend a Ramadan iftar. First, we attended a class, taught by the imam’s wife, that began around 7:00 in the evening. After the sunset prayer (which was at about 9:00 that year), we enjoyed the iftar meal. Then, “we” stayed for the rest of the service which ended around midnight. I put “we” in quotes because, by the end of the meal, my daughter was nowhere to be found. 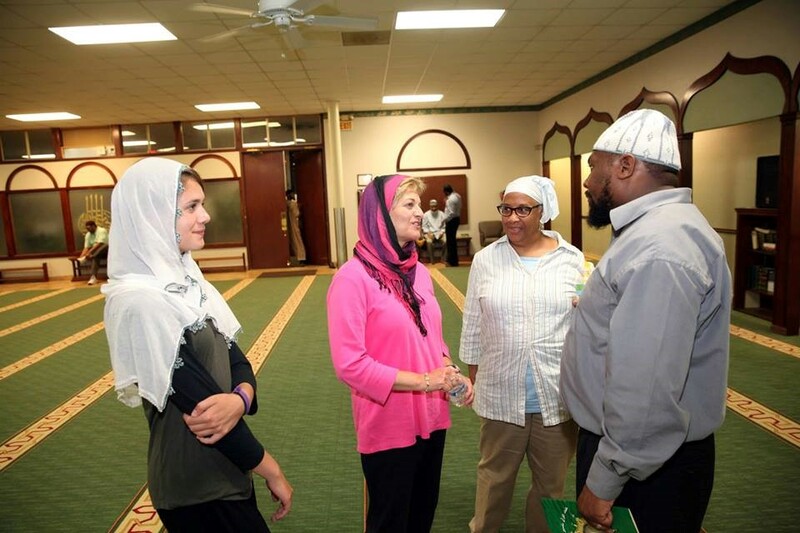 She had been whisked away by several teenaged girls excited to share their thoughts about growing up in an African American Islamic community. And now they all follow each other on Instagram. Of course, kids need a bit of guidance. No discovery camp counselor wants a child rappelling off a rock face without a harness. But helping your kids become spiritual explorers requires very little explicit knowledge. A few basic tidbits, combined with genuine interest, will take you and your young adventurers a long way. Here are some tips to get you started. It should be obvious that you and your kids need to dress modestly. Short shorts, crop tops, and jeans with holes in them are not good choices. Other kids might be dressed in shorts and t-shirts, but as pilgrims in a new land, you should err on the side of being over-dressed. In most mosques, women cover their heads with scarves. Young girls won’t need a head-covering; teenaged girls will. Wiccan/Pagan rituals are often held outside, so you’ll need to dress appropriately for the weather. 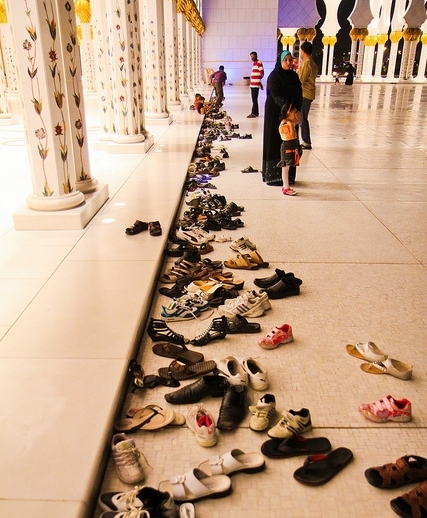 Also, in many traditions (e.g., Islamic, Buddhist, Hindu/Vedic), you will remove your shoes before entering the worship/prayer space, so keep that in mind when choosing your socks. Many services last longer than the typical white, Christian, hour-long Sunday morning church service. Rosh Hashanah services can last up to five hours, Ramadan iftars can easily last for three hours, and Buddhist lama teachings often last for two hours. Many times, people with kids come and go throughout the duration. For example, if Rosh Hashanah begins at 9:00 in the morning, some Jews will arrive at 11:00. Others might arrive earlier (around 10:00) but then leave earlier (around 12:30). A quick phone call to ask about start times, approximate end times, and etiquette norms related to arrival/departure can be well worth the effort. If you have an opportunity, introduce yourselves to the faith leaders handling the service when you arrive. They will be welcoming, and they can often keep an eye out for you, providing more detailed instructions along the way. You can also introduce yourselves to the people around you. They can be very helpful. There is no need to pretend you know what you’re doing. Embrace the adventure! Ask questions if you need to, and feel free to point out interesting or beautiful things you notice. Faith communities are proud of their rituals and worship spaces, and it will bring them joy to know you appreciate those things, too. Many times, you will simply have to wing it. That’s OK. Just watch what everyone else does, and follow along as you feel comfortable. I tend to participate as much as possible – standing when they stand, sitting when they sit, praying when they pray, singing when they sing, and so on. But, if you and your kids prefer to sit near the back and just “take it all in,” that’s perfectly fine, too. Perhaps the biggest challenge for kids is to sit reasonably still. Your kids really need to be capable of sitting quietly for a period of time. If that is difficult (or nearly impossible) for them, consider waiting another year or two before embarking on your spiritual adventures. If you misjudged, and your normally quiet child becomes uncharacteristically rambunctious, then simply leave with as little fanfare as possible. Everyone will understand since squirmy kids are found in every faith community. Spiritual exploration is an essential aspect of raising your kids to live successfully in a global world. As countries argue about how to handle the current international refugee crisis, our widespread ignorance about the world’s faith traditions becomes increasingly clear. Many of us have a very poor understanding of the complex relationship between faith and culture, and we have little or no knowledge about the range of beliefs within any given faith tradition. But progress is both possible and essential. We must move beyond coexistence and tolerance toward true religious pluralism. And we need to start with our kids. They need to experience real encounters, real engagement, and real dialogue with those who think about the Sacred in different ways. They need to hold a deep appreciation for how others articulate that which is Divine. And they need to understand that there are a myriad of ways to connect with the Great Mystery.